True to the nature of the science, what will show up in the pictures will not be the black holes themselves. The defining feature of all black holes is that they are so dense, generating a gravity field so powerful, that nothing, not even electromagnetic energy—which, of course, includes visible light—can escape their pull. What the pictures will reveal instead will be the black holes’ so-called event horizons, the swirl of gas and dust and stars and light itself, circling the black hole drain, before they’re sucked inside never, ever to reemerge. In April of 2017, a global web of eight radio telescopes located in six places—Chile, Mexico, Spain, Hawaii, Arizona and the Antarctic—collectively known as the Event Horizon Telescope (EHT), began surveying the two black holes, and likely gathered very different data from each. The black hole at the center of our galaxy goes by the name Sagittarius A*. It has a mass equivalent to about 4.1 million of our suns. 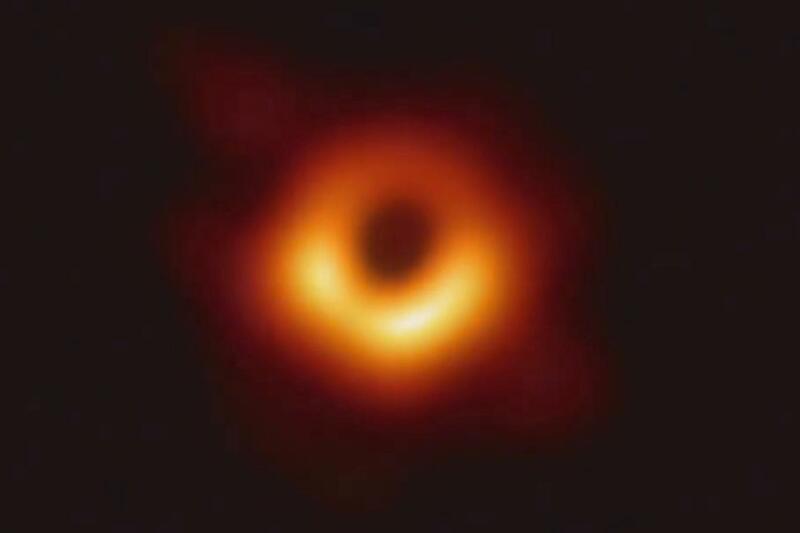 While that earns it the sobriquet “supermassive black hole” (more common black holes can be as small as five solar masses), it’s actually something of a pipsqueak as these things go. It measures perhaps 24 million miles across, or about a 50 billionth the size of the galaxy. Trying to take an image of that from the 26,000 light year distance at which the Earth sits from the center of the Milky Way is like trying to spot an orange on the surface of the moon—with the naked eye. The black hole at the center of M87, by contrast, has a mass equivalent to perhaps 7 billion suns, or 1,700 times bigger than our own black hole. But at 2,700 times the distance, it was even harder to make an image of. One thing that made the work possible was not just the number of telescopes collaborating in the search, but their geographic distribution. The distance among the detectors—especially the 9,000-mi. north-south stretch from Spain to Antarctica—effectively means a collection dish nearly as big as the Earth itself. That allows for an enormous amount of data to be gathered and collated—and over the course of the past two years, it was the collation more than the collection that was the more complicated part. The teams worked independently, sharing no information among themselves about preliminary results, lest they influence or contaminate one another’s data. Only when they were done did they regroup and prepare for the April 10 announcement. 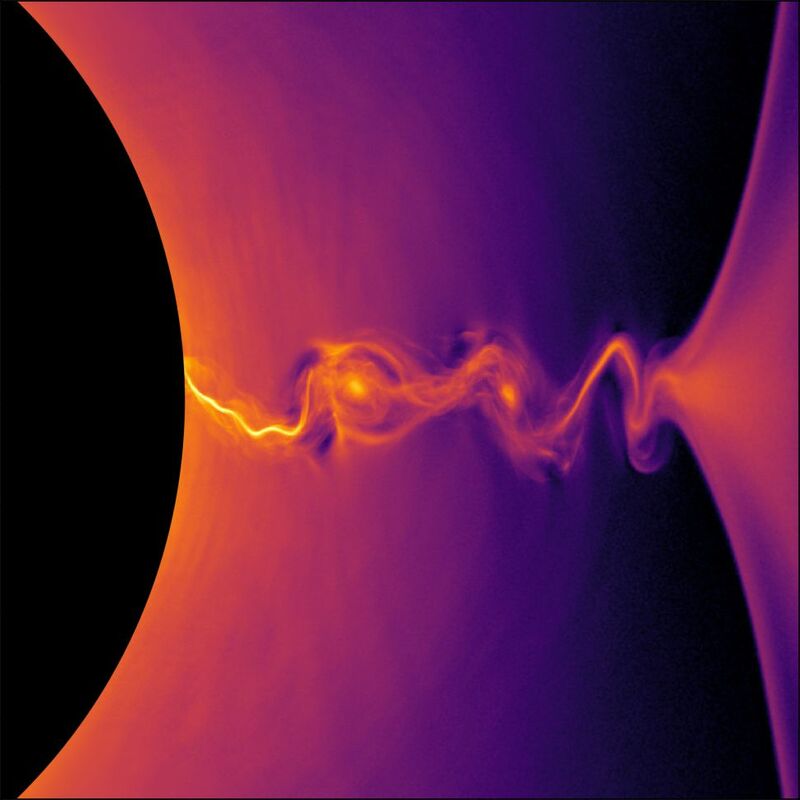 There is scientific serendipity in the fact that two black holes of such radically different scales were within the reach of the EHT detectors, since they provide a much richer mix of data studied together rather than apart. Sagittarius A* is a relatively quiet black hole, with an accretion disk—the ring of matter and energy that orbits the event horizon—that is relatively dim. The black hole still has the power to swallow stars, it’s just not swallowing many. The black hole at the center of M87, meantime, is a monster, sucking in matter and blowing out jets of supercharged particles that approach light speed and extend for 5,000 light years. “It’s a little bit counterintuitive to think a black hole spills out something,” astrophysicist Thomas Kirchbaum of the Max Planck Institute in Germany told Science News in the run-up to the announcement. “Usually people think it only swallows something.” In truth, the particles that make up the jets are not being spilled by the black hole at all, since they never fell in to begin with. Instead they were almost sucked in, but instead were accelerated by the violent energy in the vicinity of the hole and blasted away. That macro understanding of how the jets work is nothing like the much more detailed, much more precise analysis that can be done now with imagery of M87 in hand. The EHT is by no means finished with its black hole work. Three new telescopes are being brought on line—in Greenland, France and another in Arizona—and a second observing run was already conducted in April 2018. That data is now being analyzed, too, with much more surely to come. Virtually all large galaxies are thought to be organized around a central black hole. 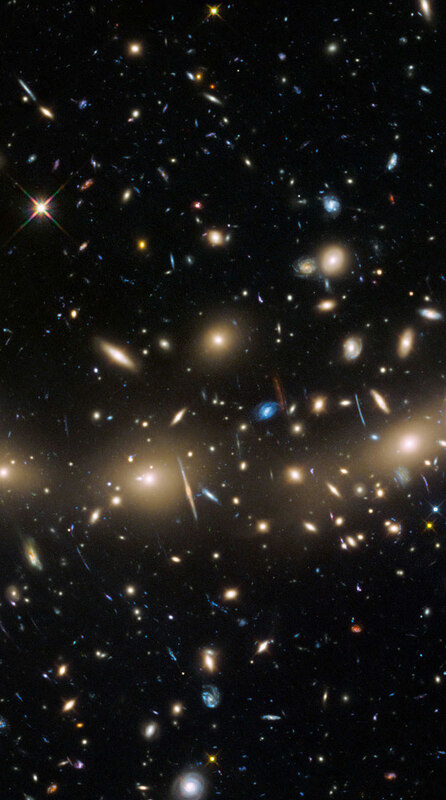 The known universe contains anywhere from 200 billion to 2 trillion galaxies, and while there’s a great deal of debate on the exact number, there’s no denying that the sample group is huge. We will never survey them all; we will surely survey more. And now, at last, we know how to do it. A 29-year-old computer scientist has earned plaudits worldwide for helping develop the algorithm that created the first-ever image of a black hole. Katie Bouman led development of a computer program that made the breakthrough image possible. The remarkable photo, showing a halo of dust and gas 500 million trillion km from Earth, was released on April 10, 2019. For Dr Bouman, its creation was the realisation of an endeavour previously thought impossible. Excitedly bracing herself for the groundbreaking moment, Dr Bouman was pictured loading the image on her laptop. 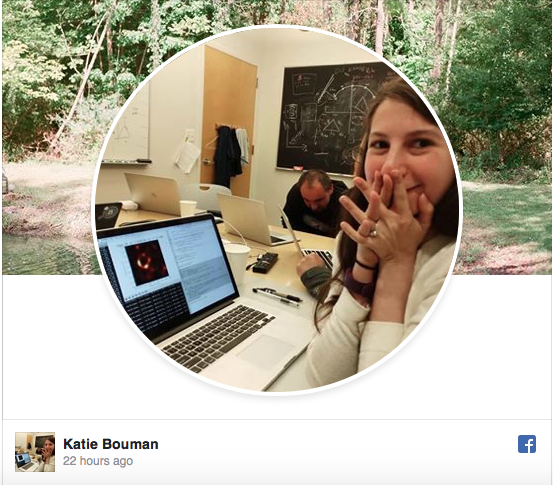 "Watching in disbelief as the first image I ever made of a black hole was in the process of being reconstructed," she wrote in the caption to the Facebook post. She started making the algorithm three years ago while she was a graduate student at the Massachusetts Institute of Technology (MIT). There, she led the project, assisted by a team from MIT's Computer Science and Artificial Intelligence Laboratory, the Harvard-Smithsonian Center for Astrophysics and the MIT Haystack Observatory.